A sneak peak of our desserts for tonight's Annual College of Agriculture Dean's Club Dinner at Purdue Beck Ag Center. Chocolate Chocolate Chocolate! 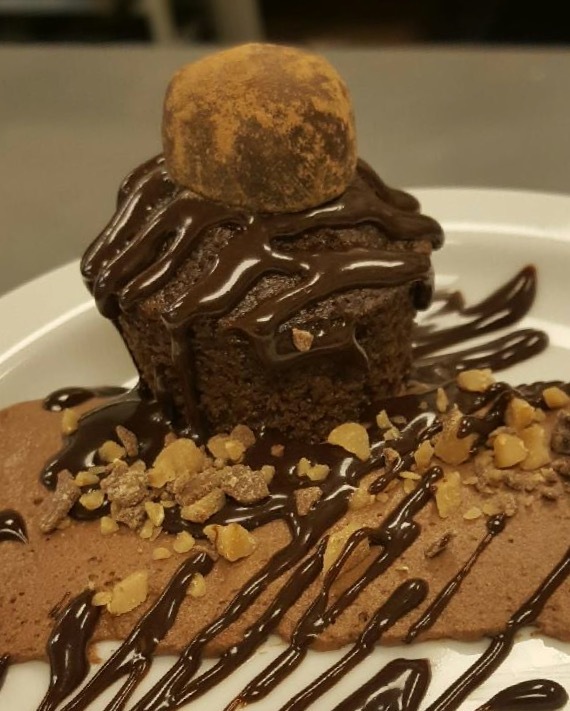 Our delectable Juniper Spoon chocolate cake topped with an espresso truffle, all served over chocolate mousse, toffee crumbles, and chocolate sauce drizzle. Apple cake with 5-spice cream cheese frosting, served over spiced baked apples drizzled with apple caramel sauce.